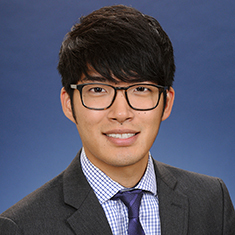 Paul Yong focuses his practice on complex business litigation. He represents publicly traded companies and their directors and officers in high-stakes securities class actions, shareholder litigation, and government and internal investigations. He has defended companies from a wide range of industries in securities litigation, including life sciences, technology, banking and insurance. He also has experience representing technology companies in intellectual property, breach of contract and other commercial disputes. Paul has substantial experience handling all phases of litigation, including drafting dispositive motions, defending and taking depositions, managing large e-discovery teams, and conducting trial preparation. He is also committed to Katten's pro bono and diversity initiatives, and currently serves as the co-chair of Katten's Minority Associates Committee. While attending law school, Paul was a managing editor for both the UCLA Law Review and the Asian Pacific American Law Journal. He also served as a judicial extern to the Honorable Victor B. Kenton, magistrate judge of the US District Court for the Central District of California. Shown below is a selection of Paul’s engagements.